Maintainable Software provides solutions for capturing, storing, and analyzing manufacturing data for electronic products and components. Our award-winning software is used in factories worldwide to turn raw test data into useful insights about test processes and product quality. Our modern, web-based software is leading the industry. All of our software works through the web (even on mobile devices) in English, Spanish, and Chinese. Our technology allows customers to manage test data from many different product lines, global sites, and companies in one system. Our business hours are Monday through Friday, 9:00am to 5:00pm PDT. Software for manufacturing test is often sold by integrators whose core business is to sell consulting or custom development. Maintainable is a product company. We design with the opposite goal: to not require extra services. Our software is powerful but also quick to set up, easy to use, and backed by free support. Our model and clear, fixed pricing provide superior value and a better long term proposition. Maintainable Software has been privileged to work with these companies and many more. We provide innovative and affordable solutions to companies of all sizes. Maintainable Software is a stable and low-risk partner for long term enterprise test and data management needs. 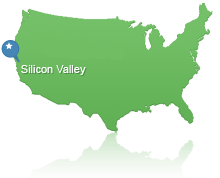 We offer on-site support to the entire San Francisco Bay Area. We provide phone and email support with guaranteed response times. We offer 24/7 emergency support.